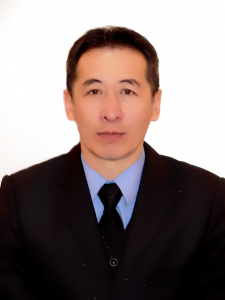 Tusupbekov Abaydoll Saypashevich was born on October 22, 1963 at the station Zharma of the Zharma district of the Semipalatinsk region. In 1985 he graduated from the Faculty of Philology of the Nezhinsky State Pedagogical Institute named after N.V. Gogol. He began his career in 1985 in the Kezensu secondary school of the Chara district of the Semipalatinsk region as a teacher of Russian language and literature. - In 1990 he was transferred to the director of the Arkalyk secondary school of the Chara district of the Semipalatinsk region. - In 1994 he worked at the Faculty of Philology of the KarSU named after. E.A. Buketova. - Since August 1996 – head teacher of the secondary school. Abay city Shar Zharma district of the East Kazakhstan region. - In 2001 he moved to the secondary school. B.Tursunovana post psychologist. - In 2004 he became the coach of the Youthful Youth League in Shar. - In 2007-2008, he worked as a manager at SODD “Daryn”, then as deputy director for educational work. - From January to July 2009, Vice-Rector on educational work of the Karaganda University “Bolashak”. - From 2010 to 2015 he worked as a senior teacher of the Russian language department of KSMU. In the period from 2012 to 2015, he published 9 scientific articles on the methods of teaching Russian and professional Russian language. There are 6 certificates of participation in master classes. In 2003, the Diploma of Akim of the Zharma region was awarded for active participation in public life.